MyCase Blog Home » Should Legal Educators Teach Law Practice Management? Lately, the blogosphere has been abuzz over the idea of legal education reform, in large part due to the recent release of Stephen Harper’s book “The Lawyer Bubble.” In his book, Harper discusses what he believes to be a looming crisis facing the legal profession, caused in part by the ailing economy and our profession’s failure to respond to the changing times. He suggests, among other things, that solutions include revising law firm structures and reforming legal education, in part by incorporating “practical skills” into law school teachings. But she goes on to suggest that “(i)ntegrating practical skills (for example, contract drafting into Contract Law) would improve law school further, as would incorporating discussion of ethical issues into substantive law classes instead of ghettoizing it as an independent unit void of context.” In other words, the practical aspects of lawyering should not be overlooked when designing a 21st century law school curriculum. So, despite the passage of 2 years, many continue to believe that the importance of revamping legal education to include “practical skills” is paramount. However, one thing struck me as I read through the legal education reform posts about the inclusion of “practical skills”– that business and law practice management skills are rarely discussed. For some reason business and law practice management skills take the perpetual backseat to “lawyering” skills and, of course, to substantive skills. 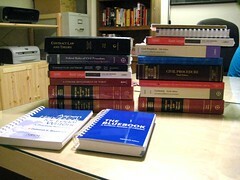 So much so that they’re not often taught in law school, or are relegated to a single 2 or 3 credit class–in large part because, as noted in “The Lawyer Bubble,” most law schools are incentivized to prepare students for careers in large law firms, despite the fact that at least 63% of lawyers practice law in small law firms. As a result, law students graduate from law school with little, if any, practical business knowledge, technology expertise, or law practice management experience. This leaves bar associations with the burden of bridging the legal education gap by forming law practice management sections devoted to teaching lawyers the nuts and bolts of running a law practice. Of course, the bar associations’ efforts are simply stop gap measures and last ditch efforts to attempt to supplement insufficient legal educations. Instead of relying on bar associations to teach basic business skills, law schools should lead the way and anticipate and serve the needs of their graduates by teaching important law practice management skills to their students. Whether this will happen anytime soon is anyone’s guess. Criticisms of the current system are nothing new, but even so, legal education reform has been slow going. So for now, lawyers will have to take it upon themselves to ensure that they’re fully armed with the necessary law practice management and practical skills needed to run a successful law practice. And bar association programs are a great place to start this educational process. But even so, let’s hope that the mounting pressures on the legal industry discussed in the “Legal Bubble” will serve to spur much-needed change, both in our profession’s long standing, but outdated, traditions and in the curriculums of law schools. Let’s hope. That being said, I’m not sure about you, but I’m not holding my breath.